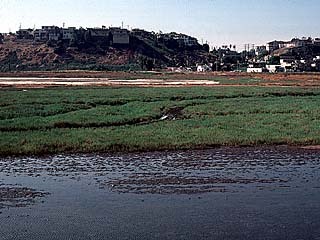 A portion of Ballona, the only remaining large coastal wetland in Los Angeles County. Photo: Professor Howard Towner, LMU & Friends of Ballona Wetlands. One of the region’s unsung environmental heroes, Ruth Lansford, received deserved kudos Saturday night, July 19th, at the 30th Anniversary Dinner for the Friends of Ballona Wetlands. A few hundred supporters, including Congresswoman Maxine Waters, Assemblyman Mike Feuer and “California Gold’s” Huell Howser, came out to the marsh to celebrate Ruth’s incredible conservation efforts. I’ve always looked at Ruth as the Dorothy Green (Heal the Bay’s founder, heart and soul) of the Ballona Wetlands. She isn’t trained as a wetland ecologist or a political activist, but she still has been effective because of her passion, perseverance and patience. She has truly led the fight to save L.A. County’s last major coastal wetland.